If you don’t speak Japanese, visiting Japan can be a daunting experience. In an intensive 50-minute class at our convenient downtown Osaka location, our experienced teachers will guide you through the basics you need to get by as a tourist, including both Japanese language skills and practical advice. Avoid the mistakes most people make, and enjoy your time in Japan to the full! Lessons are private, and focus on just the topics you want, so you don’t waste any time. Come and join us, enjoy your communication in Japanese right after your first lesson with us. All our teachers are native European people, university graduated, who speak English as well as Japanese, so you’ll have no problem making yourself understood. They know very well Japanese language and culture because they are living here for long time. 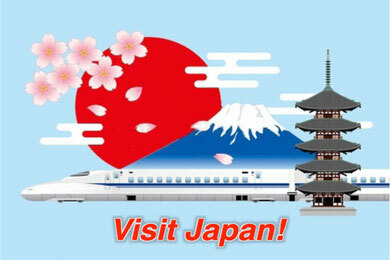 They will transmit all their knowledge for you to have a nice stay in Japan! Native Languages: English, Italian, Spanish, French, German, Portuguese, Russian, Japanese. In the Weekly Course, you will leave class each day with a new skill. You'll be able to say "Today, I learned how to do ～ in Japanese". Each class is based on a different communication skill theme, so it's easy to feel your own progress. During special intonation and speech training periods, you will practice the phrases you learn until you can use them correctly and accurately. You will also improve your Japanese pronunciation and intonation through shadowing and other methods. This is an intensive Japanese Survival Course that enables students to enjoy daily life by learning minimum level of Japanese. Custom-made curriculum will be provided to meet individual needs and schedule. Students will find this course especially useful and will become comfortable to communicate with local Japanese. 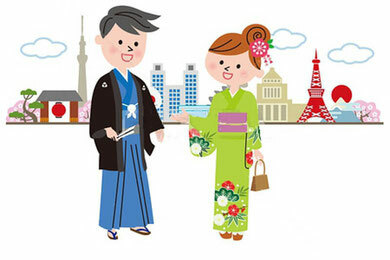 You have plenty of practice time using Japanese in conversation, role-play and in lively language activities. leave free time for tourism! At our school, conveniently located just a few minutes’ walk from Osaka Umeda Station! Online lessons are also available, using Skype. 3 Courses: You have to choose to buy a set of 10, 15 or 20 lessons. Duration of courses: You have to use the lessons within 2 or 3 months according to the course plan you chose. Closure dates: Sundays, Japanese public national holidays and other holidays, Golden Week, Obon holiday and New Year holiday: closed. Lesson-by-lesson payment is not accepted. All the set of lessons should be payed at once. Payment in cash: (for lesson at EuroLingual) one day before starting lessons at school. Payment from abroad (for online lessons), it is also possible online payment by credit card (Visa, MasterCard or American Express) through our authorized payment processor PayPal. For more information, contact us. Payment should be done one week before first lesson starts. Course schedule: must be fixed 2 weeks in advance to the starting date and cannot be changed afterwards. Trial lesson: Please note that this is a special course with no free trial lesson offered. Our trial lesson costs ¥3,500 and should be payed by Paypal. Trial lesson lasts about 30-40 min. If you chose to enter to EuroLingual, this value will be deduced from the total amount of your course (then, you can consider it as free). School registration fee: As a member of our school you are requested to pay an entrance free of ¥5,000 which will give you the advantage to participate in any kind of event we hold during your stay at EuroLingual. Cancellation: After payment, no cancellation or return fee is allowed. n.b. : There 3 Courses plans of lessons: 10, 15 or 20 lessons (50 min per lesson). You can choose to use them within 2 or 3 months. Make an appointment by filling this form "Contact Us". [Note] Both the interview process and lesson fee settlement need to be completed at least one day (in case of lessons at our school) or one week (in case of online lessons) before the lesson begins. Please, refrain to apply to this course if you don't have the proper visa. Sorry but we do not provide Student Visa.